The Left has found that Trump hate is not a winning political strategy. But as President Trump lifts America back onto its feet after a year of trouncing Democrats in special elections, suddenly things are being reversed. It began after a Democrat won Jeff Sessions’ senate seat because the GOP torpedoed Judge Roy Moore because the media portrayed him as a conservative Christian loon. Now they are taking minor seats from Republicans and doing it with vast funding by the likes of Nazi billionaire George Soros. How much voter fraud can a billionaire buy and what effect will it have? Democrats believe they can win back control of Congress in 2018 to stop the Trump agenda by fostering as much Trump hate as possible. They are finding that more and more people are jumping from their sinking ship to leap on to the Trump Train roaring toward economic success, and they are disturbed. Now they are trying to change their message to one that will attract people back into the fold. It all depends on whether or not fools will allow the wool to be pulled over their eyes so they can be duped once again. Democrats will promise the Sun, the Moon, and the stars as Obama did in 2008, but without nuking the economy to blame Trump as they did to Bush they have a tough row to hoe. Pandering and demagoguery only work on an ignorant populace and the Trump Effect is too visibly actually making America great again for leftist rhetoric and propaganda to do what needs to be done. They can only hope that they can create a message to claim they can do it better to coerce stupid people to give them back their power. Democrats who are losing on open borders, sanctuary cities, and high taxes are making promises against those in hopes of luring the gullible to take their hook in their mouth again. Once they secure power they will do what they have always done – raise taxes, unleash illegals, and lash out to blame Republicans when the economy goes south again…. and laugh. 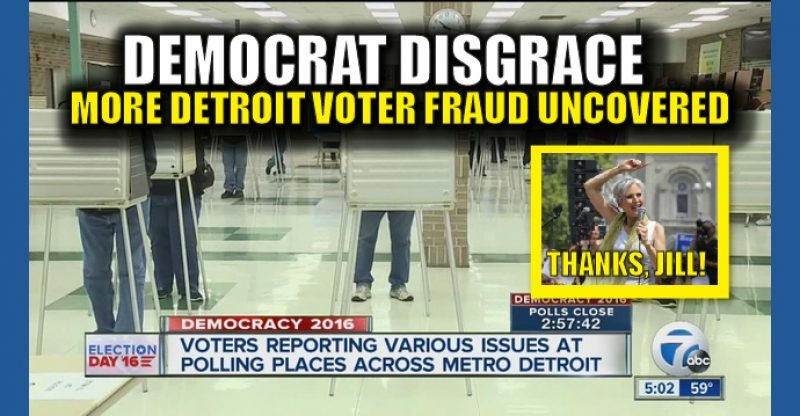 Voter fraud, dead people voting, illegals casting ballots, and Democrat operatives creating votes for people who don’t show up at the polls all lead to Democrat victory. They couldn’t get enough in their city bastions in the north in 2016 and Hillary’s campaign fell to the greatness that is proving to be Donald Trump. All the leftist slanders that they have smeared over the Trump administration haven’t been enough. Every special election last year was touted as being their great turn around to unseat Trump, and all fell on their faces until Alabama. Now they are quietly stealing elections and trying to stay under the radar. This is how democracies are corrupted. This is how they infiltrated American society, became teachers, got control of media and entertainment, and warped the thinking of America’s youth. Communist fascism works from the bottom up by insidiously infiltrating and corrupting the people to make bad choices. The Left is here to stay, but there is no reason they should be winning elections when Donald Trump is truly making America great again.